Congratulations! You’ve realized that you have no time to generate your own content for your website, newsletter, or blog. You’ve taken the courageous step of hiring someone to help you write all of the articles and marketing content that you will ever need, right? Wrong. A lot of people who hire someone to generate content make the following mistakes when working with a writer. As a result, they often get frustrated with the results and then end up having a sour relationship with that person. Worse yet, they will tend to revert to a “do-it-yourself” attitude and take over the writing; in which case it will never be finished. 1 Don’t assume that the writer will know about your product, service, or industry. Even if they do, they will never know as much as you do. You are the expert. Be a thought leader. You know what trends are relevant to your customers, right now. Handing your writer a bunch of articles someone else has written and asking them to go “research” the industry rarely ever results in a good article. 2 You must have a plan for content creation. Business is cyclical. There are prime buying times for your product or service. Sit down with your writer to plan what topics you would like to discuss throughout the year. Highlight the 2-3 things you want to talk about during each publication. Whether quarterly, monthly, or bimonthly, one hour of your time meeting and brainstorming with you writer is all it should take to figure out what you want to say an dhow to say it. 3 You will have to be involved in content creation—up to a point. The writer you hired may be a great writer, but no one can get inside your head and pull the information out of it. For each issue of your newsletter or blog, have your writer interview you for 30–45 minutes and then create a first draft of an article for your review. You’ll find that it is much easier to proof and make revisions to something that is already written than it is to come up with fresh content out of thin air. 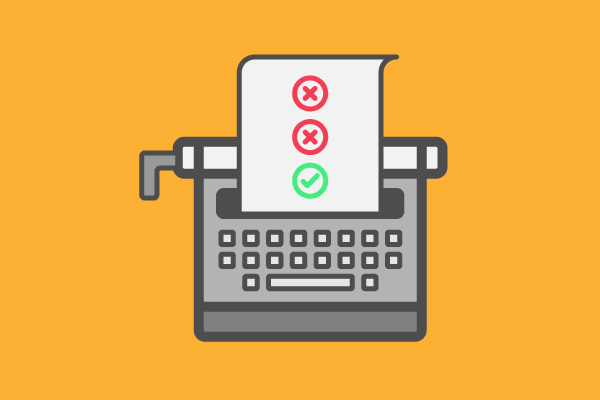 Avoiding these common pitfalls while working with a professional writer will make the process of developing regular content more efficient, productive, and satisfying. It will also eliminate a lot of the headaches that go with the constant pressure of creating something new each time you need to send out a newsletter or post a blog.